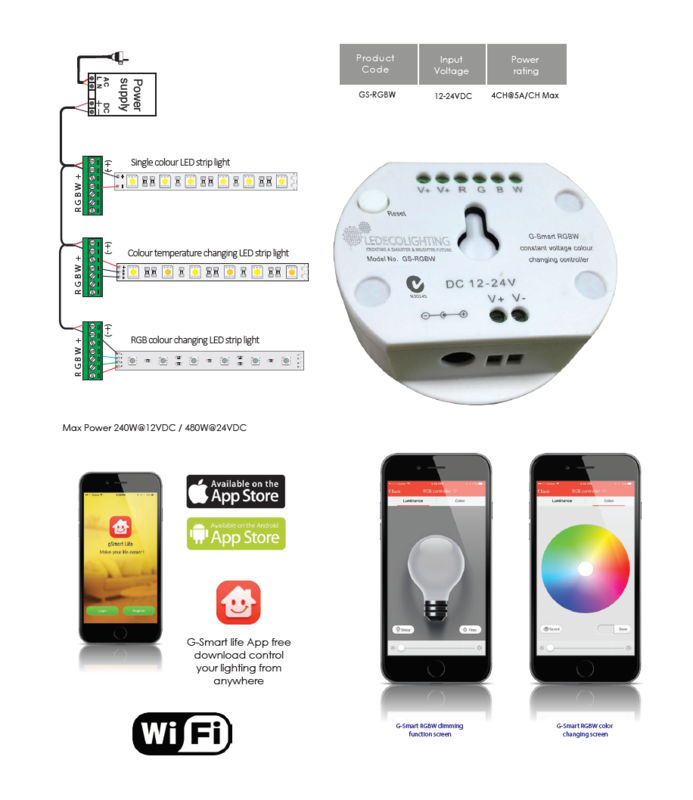 The ECO1 Smart RGBW colour changing controller is the ideal device for controlling LED low voltage light strips. The controller is able to adjust the color of RGB LED Lights in addition to single color LED Lights through the ECO1 App. To setup, simply scan the IR code on the back of the RGBW controller and it is connected to the ECO1 App.